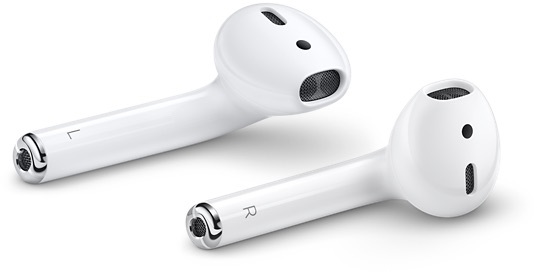 If you were planning on buying some Apple AirPods as a Christmas gift and haven’t done so yet, you’re out of luck. A new report from MacRumors reveals that Apple’s wireless earphones are currently estimated for delivery in early January if ordered today from Apple’s online store in Canada, the United States, Australia, France, Germany, Italy, Spain, United Kingdom, and several other countries. The Apple site shows people can get AirPods by January 5 via fast, paid shipping, and people who want free shipping will need to want until January 9. Store availability has been pushed to January 5 as well. Apple’s AirPods have been subject to supply issues since they were first released, and it seems as if the Cupertino company continues to struggle to keep up with the increased holiday demand. Apple CEO Tim Cook said back in August that Apple was increasing production of the wireless headphones, and while supply did briefly improve, once again things have again taken a turn for the worse for last-minute holiday shoppers. “We have increased production capacity for AirPods and are working very hard to get them to customers as quickly as we can, but we are still not able to meet the strong level of demand,” Cook said at the time.